Sissy has a school project which requires 5 pictures of her. She wanted to use a baby picture and chose this one. This was the day we brought her home from the hospital. 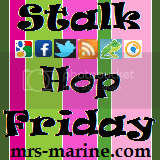 For more Wednesday Link-ups check out my Blog Hop Directory! Hope you drop by and link up to my Wordless Wednesday post as well :) Cheers!